I Can Pears… Can You? 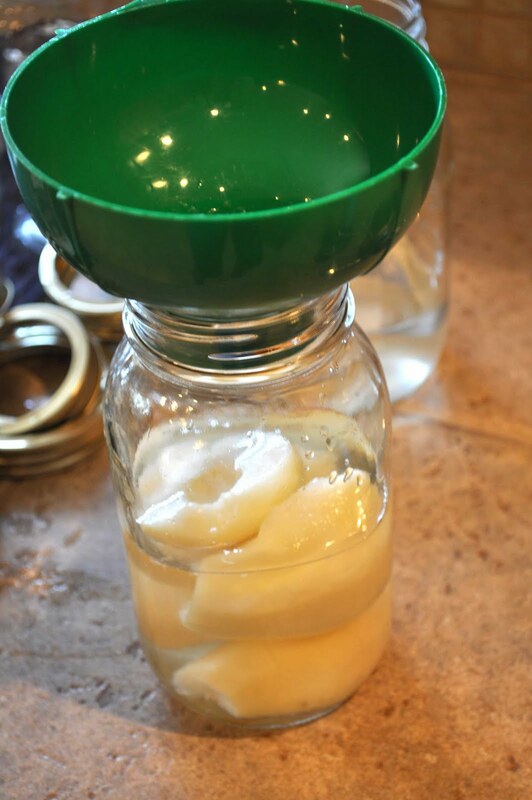 Learn how to bottle pears! Tasty too, and come January and February…the perfect lunch treat! I love pears with cottage cheese! Sanitize your bottles. I run the extra sanitize on my dishwasher but really hot soapy water works too. But new lids, but the old rings on your jars are fine. I prefer wide mouth jars. Prepare your pears. 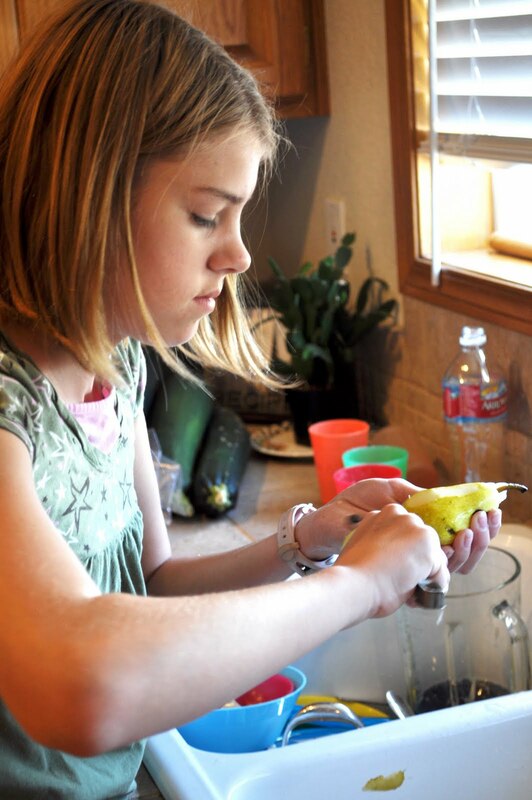 You really can’t get around peeling them by hand.. so wash ’em up, dig in and peel away! I like using a medium sized melon-baller to carve out the core after slicing in half. 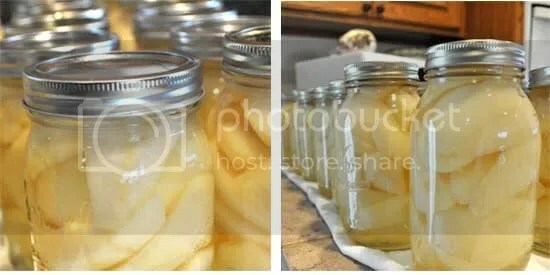 Pack your pears in as tight as you can get them, leaving a half inch or so below the neck of the jar, then fill with additional water to the neck of the jar. After 7 of your jars are filled wipe the openings well with a wet washcloth. 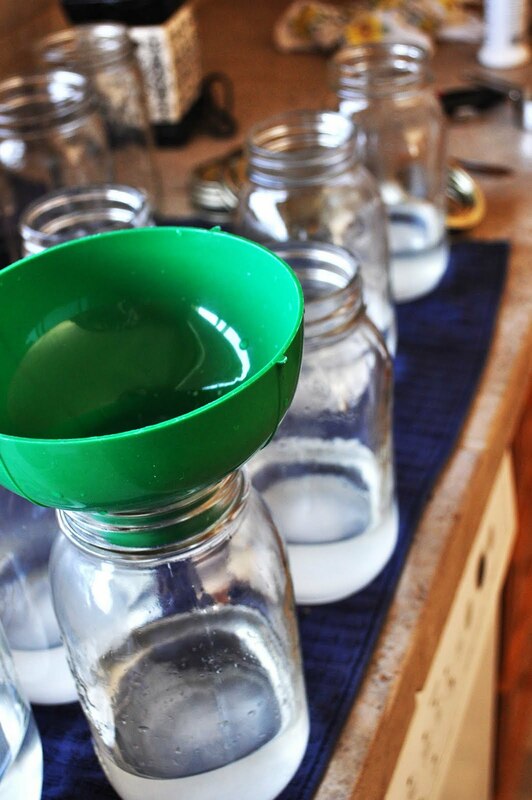 Boil your lids for 1 minute and carefully place on the jars with the rings and hand tightening. Place the jars in your water bath. Fill the bath with warm water til about 1 inch over the jar lids. Bring to a low boil and time for 20-25 minutes. 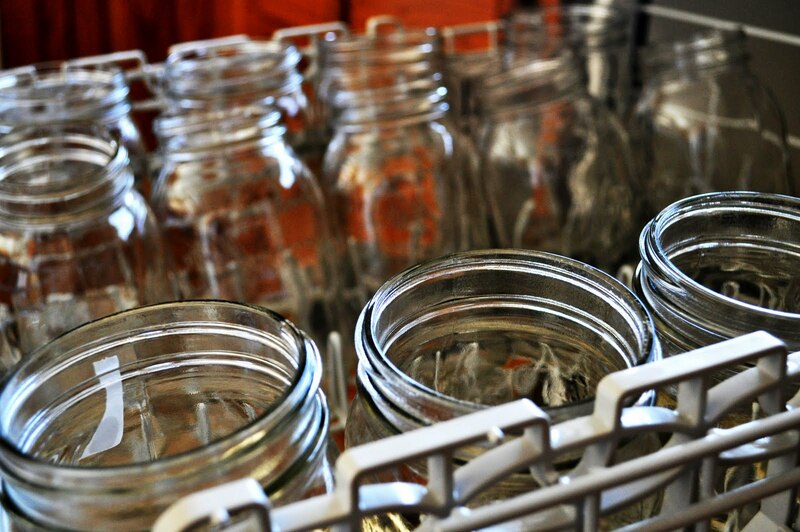 Remove the jars and let cool slowly on your countertop. You’ll hear the lids seal and pop the rest of the afternoon. And if any don’t seal (you can press down on the lid to test if it moves) no worries, refridgerate and eat those in the next few days! I picked these pears myself in a U-pick orchard in a neighboring town. Look around and see if there are any U-pick apple orchards in your area? They should be ‘on’ right now all over the country! At least go buy some fresh apple cider! And in case anyone is listening?? I really want a pressure cooker maybe for next mother’s day? The best way to bottle tomatoes and other great recipes like chili, soups or salsa! 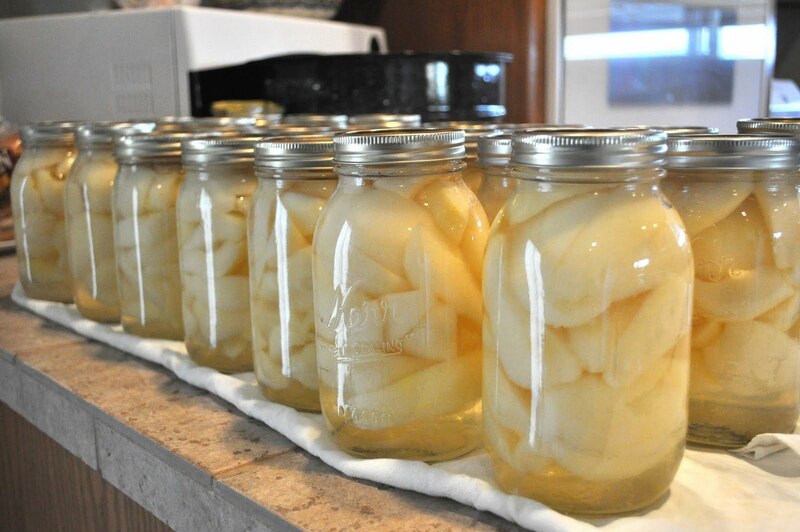 You are currently browsing the archives for the canning pears category.